My friends, sometimes you have to be careful what you ask for. When I first started talking to Aidan about a guest post on A Dribble of Ink, I thought of a couple of subjects that seemed easy at the time. The first was about the differences between writing a Book 1 in a series vs. its sequel. The second was about finding the sweet spot in terms of the number of POV characters for an epic fantasy. The first one was pretty easy to knock out, because it was more about relating my experiences over the course of writing the first and second novels in my trilogy. This second one, though, has been a tough nut to crack. Why? That’s a fair question, because let’s face it: on the surface this question is easy to answer. How many POVs do you need? However many the story needs to tell it effectively. While I believe this to be true, it’s also about as useful as a screen door on a submarine. It doesn’t really illuminate the choices that have to be made with respect to POV, so I think what I’ll try to do is examine the question using two epics I’ve read recently. On the one extreme, we have George R.R. Martin’s A Song of Ice and Fire. How many POVs does Martin have now? A few dozen between A Feast for Crows and A Dance with Dragons, which really comprise a single novel broken up geographically (as opposed to breaking a large novel up temporally). Had anyone told an editor twenty years ago that they were going to start a series in which the novels would expand to twenty POV characters, they would have been laughed out of New York. And yet, here it is, a masterful story with a scope about as wide as you can have in fiction. As big a fan as I am, this is not something I will attempt in the early parts of my career. In fact, I’m not sure if I’ll ever attempt it. First of all, I don’t know how much room there is in the field for another Big Fat Fantasy Epic. The market is a bit cornered at the moment, and I don’t know about you, but I’ve seen signs of readers shying away from such big series, especially when they’re in an unfinished state. People don’t want to wait years between books, and this, like it or not, is what it takes with a story of such scope. But beyond these concerns, I’m simply not the writer Martin is. With an extremely deft hand, he makes you care about those various people, those various threads. He makes them all compelling, even if you don’t love them. I remember reading A Game of Thrones for the first time and having a feeling of being let down when POVs switched—an exhalation, so to speak. I was so drawn into the previous POV that I didn’t want to switch—I was invested in that character—but damned if Martin didn’t make me care about the new POV in short order to the point that, by the time that new chapter ended, I had the same let down feeling for that character. One of the reasons Martin is so good at keeping the story interesting is that he’s a wizard at making you understand the characters he’s writing about, and by extension, generating sympathy for them. This is a skill that every writer needs for any POV character, but I think it becomes more important the more POVs you have for the simple fact that you have this mental exhalation at the end of each chapter. Beyond this, though, I think the large number of POVs work because they manage to, over the course of not just a single novel but all the novels in the series so far, to understand and care for the world at large. You become invested in what happened to the various houses in the months and years leading up to the betrayal of the Targaryens. You care about the livelihood of not only the characters in each house, but the houses themselves. You care about the survival of Westeros as Daenerys secures her army and threatens to retake her throne and the building of the armies to the north of the Wall. And you care about the coming of winter and its manifestations that are so far only hinted at. And so on and so on. A natural question to ask, then, is: would I care about these things if I had only a few POV characters? A bit, maybe, but certainly not to the extent that I care about them now. I want the Starks to survive. I want Westeros to survive. And at the same time, I don’t want to see Jaime or Tyrion strung up, because I care about them, too. And I want Daenerys to get her revenge. This, to me, is the brilliance of Martin’s writing: he finds a way to make you shift your own sympathies by placing you in the POV of a character you once hated, or at least mistrusted. And he would have none of this without those cadres of POVs. In no other novels that I’ve read is the aphorism that every character is a hero in their own story more clearly on display. So what can we glean from epic stories like Martin’s? That many POVs need not be a burden. That they can shed light on culture or religion or race where a single or few POVs cannot. That they can tell a wider tale—a meta story, if you will, a gestalt that could not be achieved with fewer POVs. 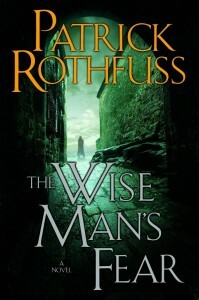 And then we have something like Patrick Rothfuss’s Kingkiller Chronicles. This is certainly epic fantasy, yes? And yet it manages to be epic with primarily two POVs. (I know, Kvothe is the primary character in both the frame story and the story as written by the Chronicler, but those two young men—the Kvothe of the University and Kvothe the innkeeper—are so different that I can’t quite bring myself to call it a single POV.) Bast has a few POV chapters as well, but by and large this is a story about the young Kvothe. Let’s not forget, though, that Kvothe the innkeeper plays a very important role. It is through him that we see what the young Kvothe becomes, and this in itself is a certain type of mystery, a tension, that the reader wants to eventually learn the answers to, and so the frame story deepens the wonder of the central story of young Kvothe. To look at it another way: it wouldn’t feel quite so epic without the frame story, would it? It is because we know the things he did—or at least the legendary, almost mythical re-tellings of the things he did—that it feels larger than young Kvothe’s tale. The Kingkiller Chronicles doesn’t have the kind of scope that Martin achieves with A Song of Ice and Fire. Far from it. It feels, in fact, rather small and linear by comparison. That’s strange to say of a series that has some 650,000 words to its name over the course of two books, and yet I think it’s true. But that isn’t really the point of Pat’s story. The point is to delve into a single character, a character that affected much of his world, a character that ballads were written about and who became a legend even before he left University, and to show you how it all happened—how it really happened. It is as much about the creation of story—the twisting of legend and the formation of legend on Kvothe’s part—as it is about the story itself. Through Kvothe we get to see how such a man is made, and this is partly why it’s such a compelling read. 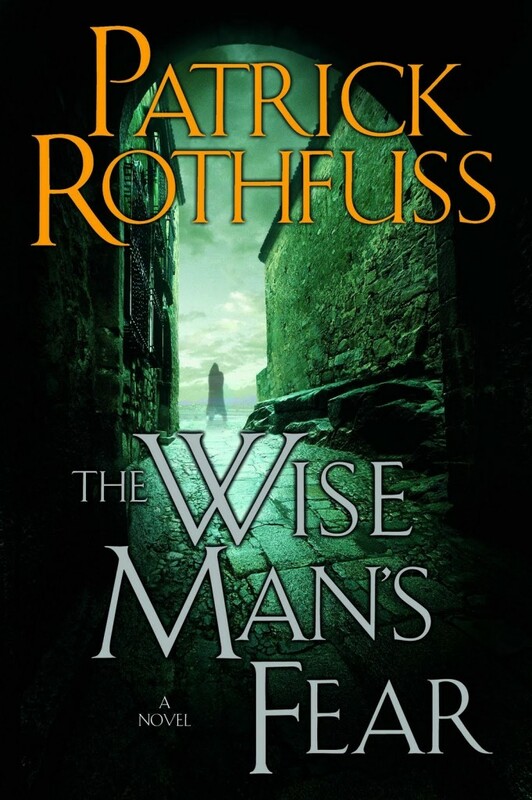 It’s interesting to note that Rothfuss, like Martin, does manage to illuminate the world of the Four Corners and its various cultures and political viewpoints over the course of the two books. We see the life of a traveling troupe of Edema Ruh, we see the harsh life in Tarbean, the structured life of the students at the University, the militant, introspective life of the Ademre, life in the backwaters and byways, and the political intrigues of Severen. By necessity, since we only have the one POV, the plot goes through some gyrations to see these parts of the world. And here we come to the major weakness of a single-POV: we don’t see much of a meta-story, a story that shows the changing life of the world at large—at least not as the story stands through two novels. And small wonder, because as I said, that isn’t really the point of the Kingkiller Chronicles. And so we have these two extremes. An epic told with a single character and an epic told with many characters. 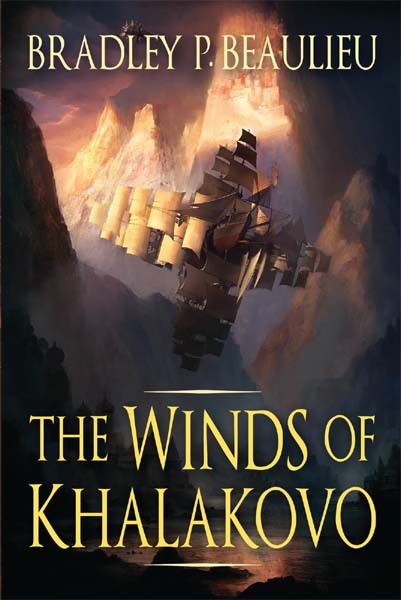 When I started writing The Winds of Khalakovo, I wanted only enough characters to tell the tale. There are nine duchies in the Grand Duchy of Anuskaya, and they bicker and war like any other set of medieval houses, but early on I decided that I would have only two characters—Princess Atiana and Prince Nikandr, two young nobles that are set to be married at the opening of the story. I chose two because later on in the tale, the Grand Duchy fractures internally, falling into two historically allied camps—the north and the south—and Atiana and Nikandr play proxy to those Duchies as the Dukes bicker and tensions begin to boil. And yet, there are other things afoot. The Duchies are stepping closer to war because one of the indigenous people becomes involved in the death of the Grand Duke. An assassination, the Dukes say, though they don’t have direct evidence. The indigenous people are peace loving—they abhor violence as a means to an end—and yet a splinter group known as the Maharraht forms to force the Grand Duchy from the islands they once controlled. I tried various techniques of showing the viewpoints of the Maharraht through the eyes of Atiana and Nikandr, but they are an enemy of the Grand Duchy, and they are by necessity secretive, so I found myself performing all sorts of literary yoga poses to reveal their side of the story. It wasn’t working, and I felt it necessary to add a third POV: Nikandr’s lover, Rehada, who is also a spy for the Maharraht. I could have left her POV off, but had I done so, I wouldn’t have been able to explore those things I wanted to explore in the novel: namely, what it takes to push peace-loving people to violence, and what they feel about it once they’d done so, plus a host of other smaller issues. For me, it was absolutely crucial to have that third POV. And so I guess this is a long-winded way of saying: yes, it’s true, the number of POV characters you need is the number you need to tell the story effectively. But of course it’s not so simple as that. I think one should try hard to avoid adding extra POVs. There should be clearcut goals for the addition, because there is a price to pay for adding too many. It can add distance and confusion and just plain get in the way of the enjoyment of the story the readers care about the most. But if the story is partially about something larger than the characters—or if there’s critical information or viewpoints or lifestyles (and I use this word as a proxy for cultural or religious or racial or sexual views) that you feel the reader needs—then by all means, add them. It just means you have more work to do to make each of the threads compelling. And not only this, you have to keep doing it, over and over, because as you switch back and forth between POVs, you have to “pick the story up” quickly from where you last left off. If you don’t, you run the risk of having one or more of your threads lag behind the others, and that’s the last thing you want. So think carefully about your POVs. Look to your exemplars to see how they did it. Remember: there’s nothing you can’t do in fiction, but by the same token, there are prices to pay for every decision you make. So choose wisely. Bradley P. Beaulieu is the author of The Winds of Khalakovo, the first of three planned books in The Lays of Anuskaya series. In addition to being an L. Ron Hubbard Writers of the Future Award winner, Brad's stories have appeared in various other publications, including Realms of Fantasy Magazine, Orson Scott Card's Intergalactic Medicine Show, Writers of the Future 20, and several anthologies from DAW Books. His story, "In the Eyes of the Empress's Cat," was voted a Notable Story of 2006 in the Million Writers Award. Thanks so much, Margaret. I’m glad it was helpful. Good luck as you tackle this issue. Remember, there’s nothing wrong with an exploratory draft. Try a POV or two out. If you don’t like them, no one ever has to see them. And even if you don’t use them, they will certainly help to illuminate the story in ways you couldn’t have seen before. I haven’t read the Rothfuss, yet, but I’m almost done with A Dance with Dragons, and I have to say I really think you nailed it here, Brad. I don’t want to give away any spoilers, but I will try to give a vague example of what I mean. In Crows, there was a particular POV character whose chapters irritated me every single time they came up. I did not like this character, and I did not want to read their chapters. And yet I did. Although I was annoyed by the character the entire time, I was still just as mesmerized by the story on the whole, and simply could not put it down. I look forward to getting around to seeing how you handled it in your series. I’ve gotta know: which POV character? Sansa or Brienne are the two that really surprised me. I found myself looking forward to Sansa chapters by the end of it all. I agree, Justin. I was annoyed by Sansa in the beginning, but her threads became pretty riveting, especially as Littlefinger’s plans began to unfold. You can’t guess, Brad? She was a character who had not been a POV character previously, and was not Brienne. It’s got to be Cersei, then. (Asha was introduced as well, but I thought her chapters were pretty cool.) Cersei’s felt … strained to me. I didn’t much care for them either. It’s difficult to portray someone as tetched, and I guess Martin did a good job because I still read them and was interested in what was happening there, but there was nothing heroic or brave in her threads. It was all dark paranoia, which, while well written, was difficult to get into. I couldn’t drum up any sympathy for her, unlike other “villains” who gained POV chapters after the first book or two. I totally agree, but I think this proves (and follows your point) that Martin is a master. I can’t think of a single novel that I would keep reading if I hated a character that much. I mean Cersei is a petty, horrid person, and her chapters were boring in a sense of the character not compelling me, and yet there was still this sense of a master weaver weaving something grand just beneath the surface. I get the feeling the whole thing with Qyburn and the Mountain will come back around (keep in mind I haven’t finished Dragons yet, so don’t tell me). Great stuff, Bradley. I especially like this observation about GRRM: “In no other novels that I’ve read is the aphorism that every character is a hero in their own story more clearly on display.” There is really something to be said for making your characters want things, which makes the reader want to see them succeed (or fail), which feeds into each character seeming like the central figure in his or her own story. Another key thing that Martin does, at least in book 1, is that he only writes from the povs of characters that are easy enough to like. That helps a _lot_ when you write from many points of view. That’s true, Moses. He did pretty much stick to the starks, plus Tyrion, for the first book. Even Tyrion, though not a typical hero, is very charismatic for his sharp tongue and wit. Plus, we didn’t know quite what to expect from him early on, so his POV in this first book is not quite in the same category as, say, Jaime or Theon. This is great analysis. There are other fantasy series with tons of POVs (Malazan, for instance) but none seem to have been as effective. I have wondered why more people haven’t borrowed Martin’s convention of naming their chapters after their POV’s? Would it be seen as too derivative? That’s an interesting point, Ahimsa. Speaking only for myself, I didn’t use character names as the chapter titles for that very reason. Plus, I have a situation that’s slightly different than ASOIAF in that I have a few chapters (two or three) for each POV character each time their turn comes around. I did this because it felt right to break up the progression of the story a bit. I also felt like there were only three POVs and it would be easy to grok. And lastly, I think it’s important to set the stage, so to speak, when a new chapter starts. Martin, even with his character name chapter headings, does this extremely well, grounding you immediately as each chapter starts, such that you really wouldn’t need those if it came right down to it. But I agree that they were nice to have, even if it was only to flip back to the TOC to see just how long you were going to have to wait for your favorite character to show up again. 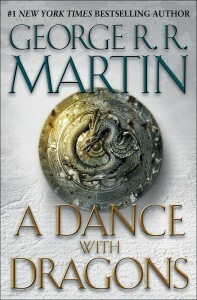 I find it especially interesting as the story progresses, that Martin evolves from simple character names (Jon, Arya, Catelyn, Tyrion, etc in the first two books or so) into chapter headings that are still sort of character titles (Prince of Winterfell, The Reaver, etc) but also set a tone and sense of place for each little tale that is like a world unto itself. 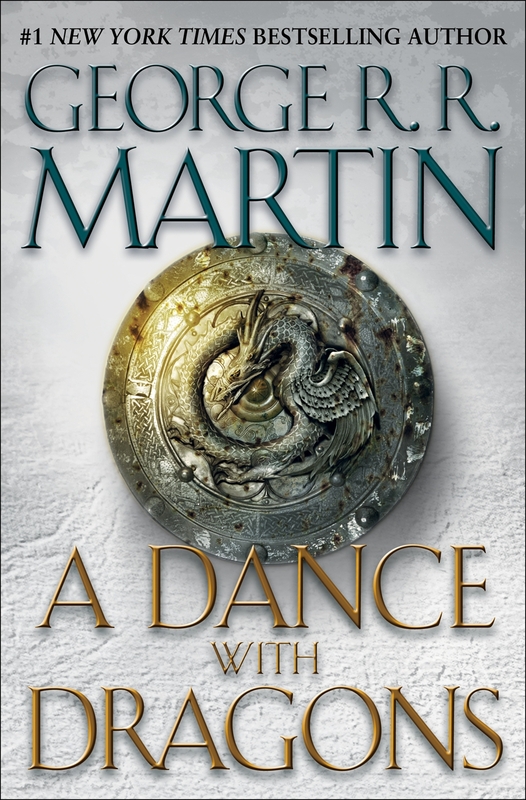 I mean I personally just finished the return to Dorne chapter (I think it was called The Watcher), a bit over halfway through Dragons, and it is so disconnected from everything else, it simply SHOULD NOT WORK. But it does. I’ve never read a series that ties so many threads together without losing me as a reader in the knots. I would like to hear some of the more experienced fantasy authors like you, Brad, and Moses, talk more about the kind of 3rd person point of view that Martin uses. Each chapter obviously focuses on a character, but the narrator seems to sit in this place somewhere between omniscient and limited, that I’ve never quite seen done before like this. Maybe I’m not well read enough in the genre, and you certainly don’t have to discuss that here, as it’s a bit off topic, but as a novice I would like to read some more about things like that. Anyway, thanks for covering this Brad, and for hosting, Aidan. I’m looking forward to more of the same. I don’t necessarily think all books should do that–I’m just surprised that more haven’t. My own approach is a bit different: I split each chapter into two locations and use one (or more) POVs to be the reader’s eyes there. I’m not really sure it if it’s going to be effective or too clunky. What you’re doing sounds very interesting though-I’m not sure I’ve seen POV clusters before. Should make for some engaging reading. Perhaps its just I’m not a big fan of ASoIaF, but I think Martin has far too many POVs. The danger is, for me, that I suspect the series may be out of hand. But I could be wrong. As for The Kingkiller Chronicles, I dropped it after the first hundred pages or so. It just did not work for me at all. But, good advice on how to tackle the POV problem, Bradley.